Have you ever wanted to insert more than one row of static text in to a SQL table using the VALUES argument? Well, this is actually pretty easy to do. To do this you just need to pass a comma delimited value list like in the example below. One of the limitations of SQL Server Management Studio is that it shows query execution time in seconds. In most daily activities, this is accurate enough. But when it comes to query permanence tuning, it is helpful to have a more accurate measurement. 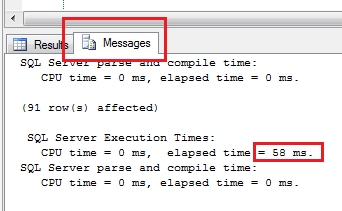 To have your exact query time show in the separate messages tab, all you need to do is run the following queries. Then you can view the time by clicking on the Messages tab. To get a lot of in-depth information about your query, you can turn on Client Statistics before running your query. The details of all the results will be shown in the Client Statistics tab after execution was completed. 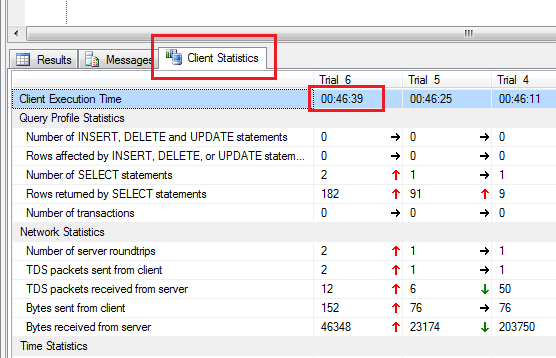 Turn on client statistics by choosing the Include Client Statistics option from query menu. 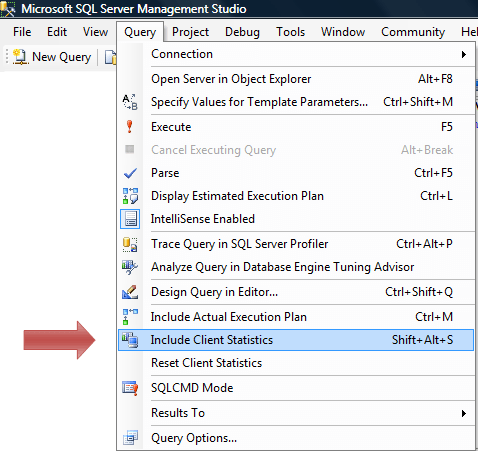 If you would like to just show the execution time in the standard results window, this query allows you to do this. It will also allow you to show exact time of execution of a specific code segment in a query. To use this, just place the code that you would like to get the execution time for in the center of the below script. The exact time will be shown in the results.